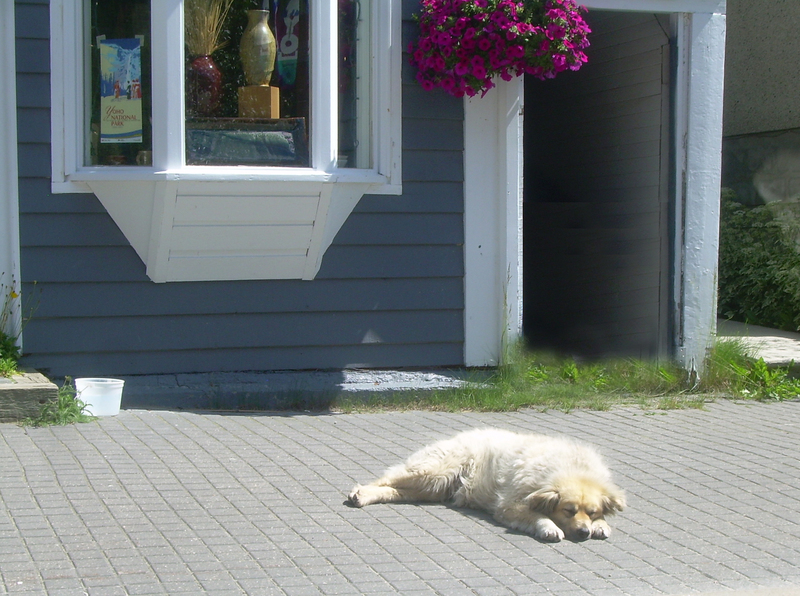 Finally, the lazy, crazy, ‘dog days” of summer are here. Where did that term ‘dog days’ originate? In the summer, Sirius, the ‘dog star’, rose and set with the sun. “During late July, Sirius is in conjunction with the sun, and the ancients believed that its heat added to the heat of the sun, creating a stretch of hot and sultry weather. Looking at Fido here, lazing in the hot mid afternoon sun, ‘dog days’ of summer doesn’t need a star to originate the term. This adorable puppy merely raised an eyebrow while being photographed. Too hot to move, but happy for it, it’s a dog’s day for sure.